I will admit a slight apprehension when it comes to baking with yeast; I hate the idea of wasting food and as I do not work enough with yeast based doughs, the fear of creating an inedible offering has prevented me, in the past, from venturing into recipes that call for yeast. However, having found myself with an unexpected windfall of fine Spanish chorizo, I decided to throw caution to the wind, and attempt to make an empanada Gallega, a la me; it was delicious and not that oddly, like most things in life, the next time I made one, it came out better than the first and soon my fears were diminished. Having eaten various empanadas, I was comfortable with the ingredients I wanted to use for the filling; however, I was clueless about the dough and thus began to do some research. 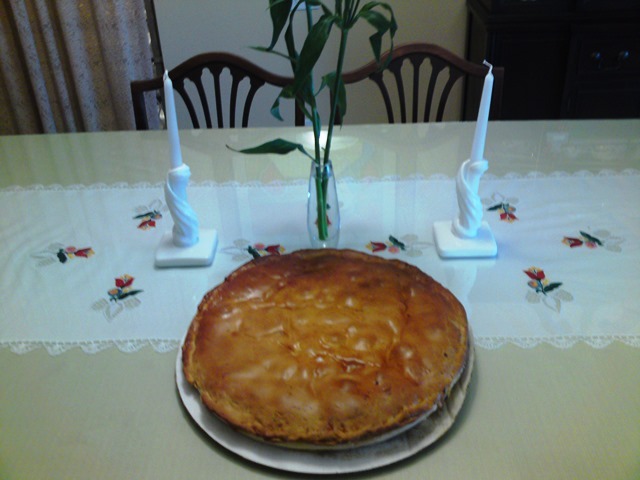 I found many recipes, on the internet, but most were written with European measures; in the end, I used a dough recipe from The Cooking of Span and Portugal. Unlike most recipes, I did not modify this one, and thus I am sharing it, with the directions, as it is printed; but I certainly welcome any suggestions you might have! 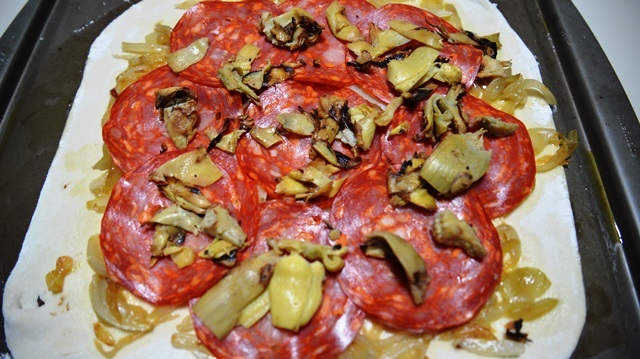 For the filling, you want to use the best Spanish chorizo you can find, and sauté a good amount of onions and bell peppers, for the most authentic of taste. 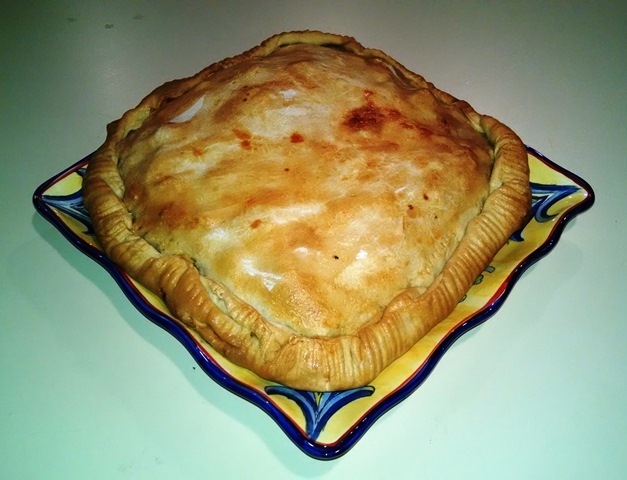 This is a great dish to add to a menu for parties, long weekends when you do not want to spend hours in the kitchen, and even road trips, as it travels well, is easy to serve, eat, and delightfully flavorful – do not be afraid of yeast and by all means fill your empanada with your favorite ingredients. “In a small bowl, sprinkle the yeast and sugar over ¼ cup of lukewarm water. Let it stand for 2 to 3 minutes, then stir to dissolve the yeast completely. Set the bowl in a warm, draft-free place, such as an unlighted oven, for 8 – 10 minutes, or until the mixture doubles in volume. Combine 2 cups of flour and the salt in a deep mixing bowl, make a well in the center, and pour in the yeast, milk and remaining ¼ cup of lukewarm water. Slowly stir together, adding up to 1 cup ore flour, a few tablespoons at a time, until the mixture becomes medium-firm dough that can be lifted up in a moist, solid mass. Place the dough on a lightly floured surface and knead it by pressing down, pushing it forward several times with the heel of your hand. 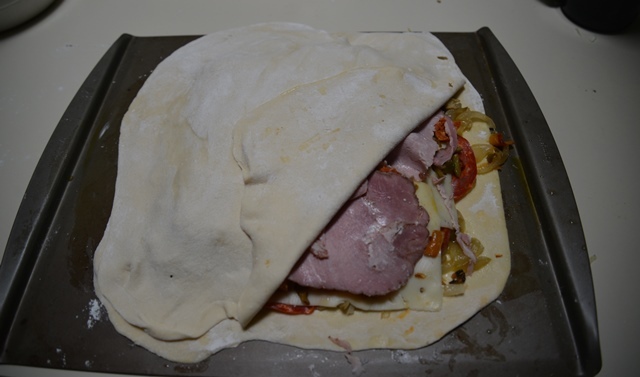 Fold it back on itself and knead for at least 10 minutes, or until the dough is smooth and elastic. 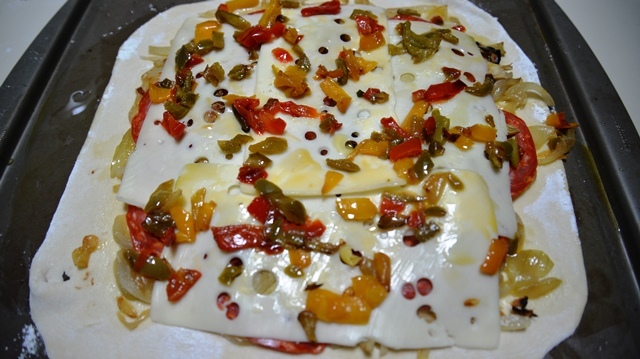 Sprinkle a little flour over and under the dough when necessary to prevent it from sticking to the board. Gather the dough into a ball and place it in a large, lightly buttered bowl. Dust the top with flour, drape a towel over it, and set in the warm place for 1 ½ hours or until the dough doubles in pull. Punch it down with one blow of your fist, cover with a towel and let it rise again for 45 minutes. 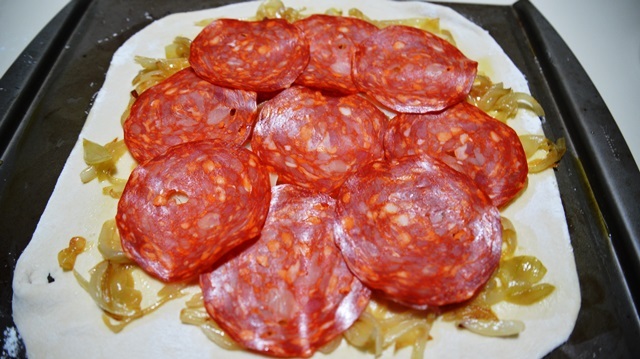 To assemble the pie, divide the dough into halves. On a lightly floured surface, roll each half into a circle about 12 inches in diameter and ¼ inch thick. Place one of the circles on the baking sheet and spoon the filling on top, spread it to within about 1 inch of the outside edges. 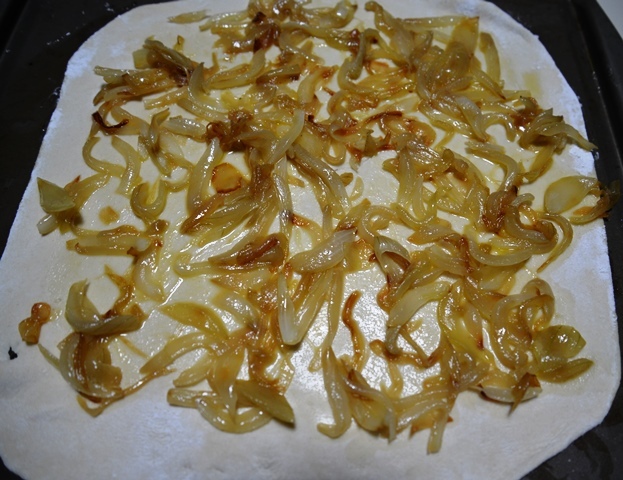 Place the second circle of dough over the filling, pressing it down firmly around the edges. Then fold up the entire rim of the pie by about ½ inch and press all around the outer edges with your fingertips or the tines of a fork to seal them securely. Let the pie rise in the warm place for about 20 minutes. The Cooking of Spain and Portugal by Peter S. Feibleman and the Editors of Time-Life Books, 1969, page 140. 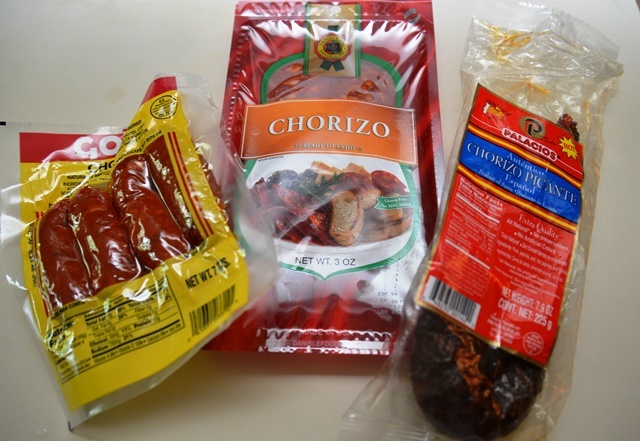 Spanish Chorizo – the more the better – if you can find more than one type, use them all! 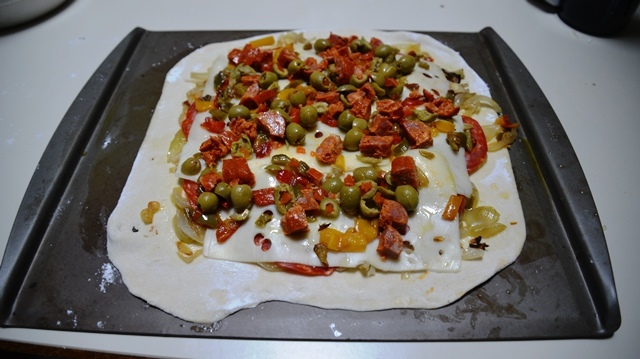 After you have made the dough, while it is rising, caramelize the onions, sauté the artichokes, and bell peppers, you can add the cappers to the peppers, you will want all hot ingredients to cool before filling your empanada. Being assembling your empanada with a layer of onions, then chorizo, artichokes, cheese, more chorizo, bell peppers, cappers, olives, more cheese, and finally ham; making sure to tuck the top in well, pressing down firmly, and finish with an egg wash.
Glenda brought this Empanada from Los Angeles to Fort Lauderdale — it looked and more importantly, tasted perfect! They travel well! This entry was posted on January 3, 2018 at 1:25 am and is filed under Food, SlideShow, Uncategorized. You can follow any responses to this entry through the RSS 2.0 feed.